BASKETBALL SPOTLIGHT NEWS: Beware Of The Gunn! Zach Gunn is a 6'5 eighth grader from Indiana. Zach Gunn is considered a top 20 player in the class of 2017 and showed his improving athleticism on this fast break at the 2013 Indy Gardens Gold Medal Invitational. Gunn stars for the always good Indy Hoosiers squad. 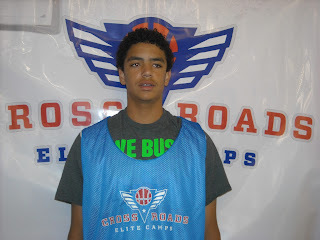 We expect to get a good look at him when we attend the 8th Grade AAU Nationals in Orlando, Fl.